The small country of Singapore is absolutely unique. Not only does it have a very strong economy, it also is an incredibly safe place to travel…if you don’t break the law. The nation has absurdly strange laws with intense consequences. For Example, chewing gum and jaywalking are against the law. While you most likely wouldn’t be caned for chewing a pack of Trident, the security there is pretty tight. Police presence isn’t common, but cameras are everywhere. This does make it a wonderful place to travel, though. You don’t have to really worry about your safety at all while you’re there. It’s bizarre traveling in such an orderly place after being accustomed to the craziness of other Southeast Asian countries. Positive propaganda about littering reminded people that we can only make a difference together. The metro TV showed commercials of police felony tackling people who break laws to deter them from participating in poor behavior. Food and drink weren’t allowed in the subway, so trash wasn’t lingering around everywhere. Little India didn’t really seem very lively compared to other Little Indias in Malaysia. The town was quiet. People just went about their business and were incredibly polite to each other. An older Australian man we met told us he’d go to the more sleazy parts of town to get a beer at night because as he put it, “it’s the only place in Singapore that I actually feel like I’m in Asia”. It is true, though. For a day and a half we didn’t see the usual rawness, poverty, and desperation that we’d grown used to seeing. For me, it was a welcome reprieve. It begins to wear on me seeing people who have had such a difficult life compared to me and knowing that I can’t buy everyone’s little trinket or food product to help them make a living. 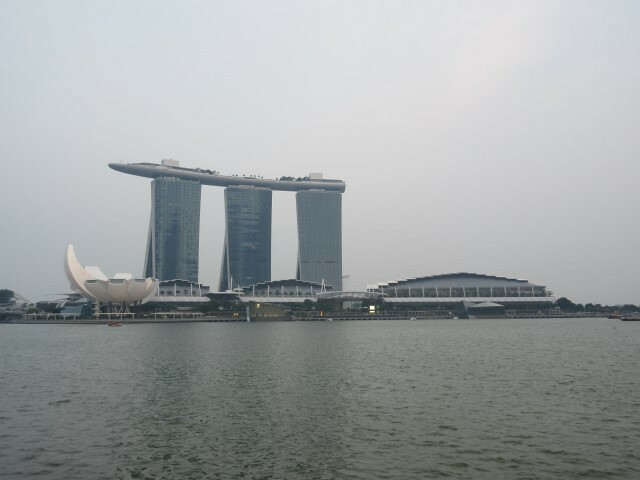 Singapore had a feel like I was in a dystopic fiction writing and Big Brother was watching me from every corner. Since I wasn’t breaking any laws, I didn’t mind and just enjoyed the culture and sights for the short amount of time I was there. 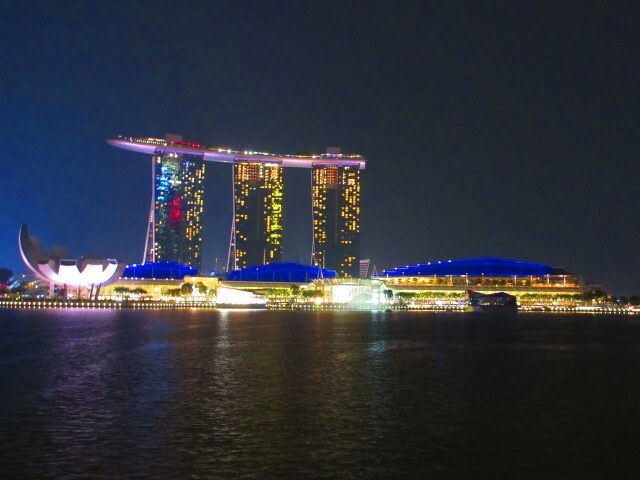 While by day, Singapore has wonderful architecture and nature to explore, at night the city shocks you with amazing choreographed light shows and breathtaking views. In other articles I’ll illustrate the highlights of both the day and the night in Singapore. This entry was posted in Destinations, Narrative and tagged Narrative, Singapore, Southeast Asia, Travel by Emily Upstrom. Bookmark the permalink. Big difference between day and night!